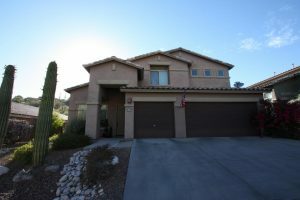 Every listing should have good photography to draw potential buyers to want to see it. But where many Sellers make a mistake is to have too many photos. Photos of interior garages or bathrooms (unless it is a remodel or is especially luxurious) usually do not need to be part of the line-up of photos. Photos that make your homesite or the room seem small should be excluded. When you have 5 photos of the same room, pick the best ones and don’t use the rest! Makes sense, but so many real estate agents do not focus enough on marketing and they show many photos that in fact do not make the buyers more likely to view the house in person. Remember you just want enough great photos to draw the buyer to want to visit your home in person. Usually as few as 15 or 20 photos is enough. Don’t show off everything-you just want to entice. Having a detail-focused, very experienced real estate agent has its advantages for Sellers! I am a phone call or an email away–520-615-2598 or email me at Donna@DonnaAnderson.com. The snowbirds are not here in summer and they are the folks who usually purchase luxury homes. If you list your home in summer and it is a home priced over 600K it is likely it will not sell in the summer. And if you list it in the summer and then continue to have it listed for sale in the fall and winter it will show higher “Days on the Market” which tells the potential buyers that it is not new to the market and it is likely the Sellers are more negotiable on the price. The best homes sell quickly is what most real estate agents and potential purchasers usually conclude. Therefore, if a luxury home Seller contacts me and says “When is the best time to sell my home” I tell him/her to wait until January when the snowbirds are here. However, if you have a two-story home that is non-custom the best time to sell is May because most folks who purchase these homes have children and they want to move in before the new school year begins. Additionally non-luxury one-story homes can list any time of year but the best time to list is in January when the snowbirds are here because many snowbirds want a one-story home. The Tucson real estate market that is above 300K continues to be slower than most of the country. 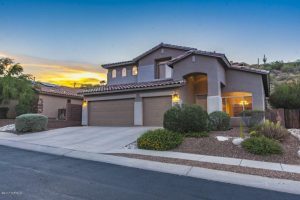 First time home buyers usually utilize an FHA mortgage to finance their first home and Sabino Mountain is priced out of this growing market. FHA requires only 3.5% downpayment and the qualifying standards are easier than for one to obtain a convention loan. The top limit for an FHA loan in Pima County is only $275,665. So unless FHA increases the loan limits we continue to not attract the popular, first-time home buyer segment of the real estate marketplace. 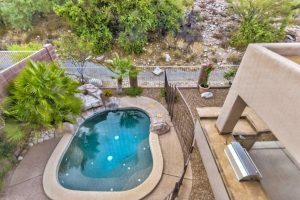 There are no one-story homes available for sale in Sabino Mountain priced below 699K. So if your home fits the bill, this is a great time to list your home for sale. 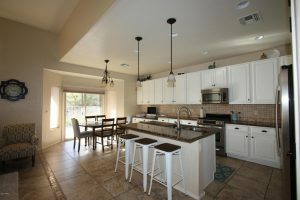 If you are interested in selling your home give me a call at 520-615-2598 or email me at Donna@DonnaAnderson.com. I am amazed that the vast majority of real estate agents incorrectly input that fire protection is not included in the property taxes in our community. All but one of the present listing agents of homes for sale have incorrectly put in the listing this information. This usually costs between $400 and $2,500 per year and is tax deductible when part of property taxes. Most of the Catalina Foothills has this as an extra subscription that needs to be paid and is not tax deductible. So our community stands out and that it is included in property taxes and it is tax deductible. 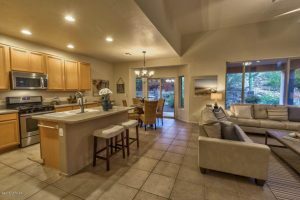 Potential buyers would rather have fire protection part of their property taxes and it is a benefit of living in Sabino Mountain. I have lived here 14 years and have sold many homes in our community. I love it and know our community well. If you are thinking of selling your home, give me a call at 520-615-2598 or email me at Donna@DonnaAnderson.com. I promise excellent service! 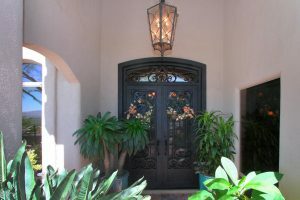 4309 N Sunset Cliff Drive was listed for sale by Realty Executives Tucson Elite for 359K. This almost 3K square foot two-story home with 3 car garage and first floor master bedroom sold 3 years ago for more at 368K. It boasts Italian tile floors in main living areas, a hardwood floor in the master bedroom and 42″ kitchen cabinets along with other upgrades. This one is well priced and should sell quickly. 4287 N Sabino Mountain Drive was listed today by Remax Excalibur for 928K; it is a slightly over 3,500 square foot Mediterranean located near the corner of Quail Canyon and Sabino Mountain Drive. 4242 N Sunset Cliff Drive, an almost 3K square foot two-story home that has a spool (small pool) was listed today by Coldwell Banker Residential Brokerage for 383K. The Sellers purchased the home a little over 3 years ago for $372,500 and added stainless appliances. This popular floorplan has a first floor master bedroom, 3 full baths and a three car garage. You are currently browsing the Sabino Mountain Blog blog archives for June, 2017.